A UK court said that Apple must rewrite its apology to Samsung, expressing incredulity that the high-tech company couldn’t get a simple statement of fact correct. This latest courtroom kerfuffle broke out after Apple published an unconvincing statement on its website that Samsung didn’t infringe on Apple’s registered iPad design. 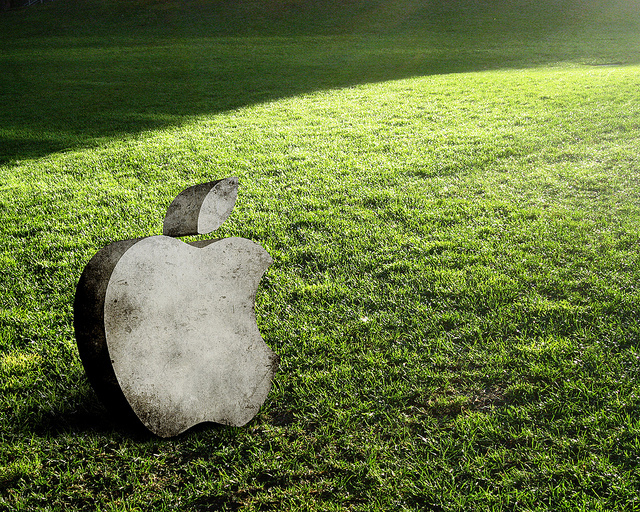 Apple has caused a lot of controversy in recent years with its tendency to sue everyone. The smartphone war rages on as companies vie for the largest segments of the market and the battle takes place as much in courtrooms as in marketing. In October, Apple lost an appeal against a UK court ruling that Samsung had not violated Apple’s iPad patents. The ruling meant that Apple could not impose a sales ban on Samsung’s devices in the eurozone That court ruled that Apple must run a statement on its website that Samsung had not infringed on Apple’s patents and add a link to the UK court judgment. The purpose of the statement was to dispel notions that Samsung was a craven copycat. The UK appeals judges said that only a statement from the horse’s mouth, meaning Apple, Inc., could soothe any confusion in consumers’ minds concerning Samsung’s status from this ruling. The judges said that nothing short of an Apple statement could get the job done. Using an American football analogy, Apple fumbled the ball, then got hit with a penalty and was ordered to replay the down by the UK court. Apple’s initial statement clouded Samsung’s status in the patent case. Apple added facts that the Cupertino company had won patent infringement iPad rulings against Samsung in an American court. A Samsung attorney told the UK court that the Apple statement raised confusion about Samsung’s ability to market its Galaxy tablets. He told the court that consumers might not buy Samsung devices because they perceived that the designs were illegal. The statement also created an impression that the UK courts are out of alignment with other court rulings. The attorney argued that the Apple statement didn’t comply with the order, and the UK court agreed. The UK court told Apple that the purpose of the statement is not to punish but to soothe commercial uncertainty. Sir Robin Jacob threatened Apple CEO Tim Cook with an affidavit to write an explanation about why it’s so difficult for a high-tech company to write a simple statement. For now, Apple has the ball, but it’s fourth down and the judges are watching. Sam Jones, the author, has a free mobile phone but thinks that the big companies need to be less aggressive in the technology world.